TUSCALOOSA, Alabama — Cornerback Levi Wallace and running back Damien Harris are waiting to speak to the media as Alabama prepares for its College Football Playoff semifinal against Clemson. "Hey, Slim,'' Damien says. Levi smiles. "Make sure you tell them your nickname: The Technician." Wallace, who came to the Crimson Tide as a walk-on, shakes his head and glares at Harris as if to say, Don't do that to me. Wallace is humble and without airs. To him, the football field is not a stage for prancing. He doesn't answer to a nickname, even if it fits. He is the kind of unobtrusive player who fares well in coach Nick Saban's regimented system. He also just might be the most valuable player on the Alabama defense. Not the best player. That would be safety Minkah Fitzpatrick, a defensive back with cornerback and safety skills who figures to be the first Alabama player chosen in the 2018 NFL draft. Wallace is most valuable because of the impact his ability to start at left cornerback has had on Fitzpatrick and the Bama defense. Wallace's surprisingly skillful play has freed up Fitzpatrick to roam the middle of the field, a key to the overall effectiveness of the Crimson Tide defense. "Levi is the lynchpin," says Phil Savage, a former NFL general manager who is now an Alabama radio analyst and executive director of the Senior Bowl. "If he doesn't hold up at cornerback, there is nobody else to go to but Minkah." And if you are Alabama, you don't want Fitzpatrick confined to one side of the field. He has size (6'1", 202 lbs), speed (4.35 in the 40-yard dash) and savvy. His combination of skills is rare, even for an NFL mill like Alabama. Saban and defensive coordinator Jeremy Pruitt want him smack in the middle of the field where he can hammer running backs or match up against slot receivers. He's also a weapon on the blitz, all while playing in the center of the field, where he can anticipate throws and make interceptions. Wallace, on the other hand, is just as savvy but less athletically skilled. He is not as sturdy as a typical Alabama defensive back. On the sideline at the Auburn game, an NFL scout looked him over and said he weighed "170, tops." Wallace says he's 178. 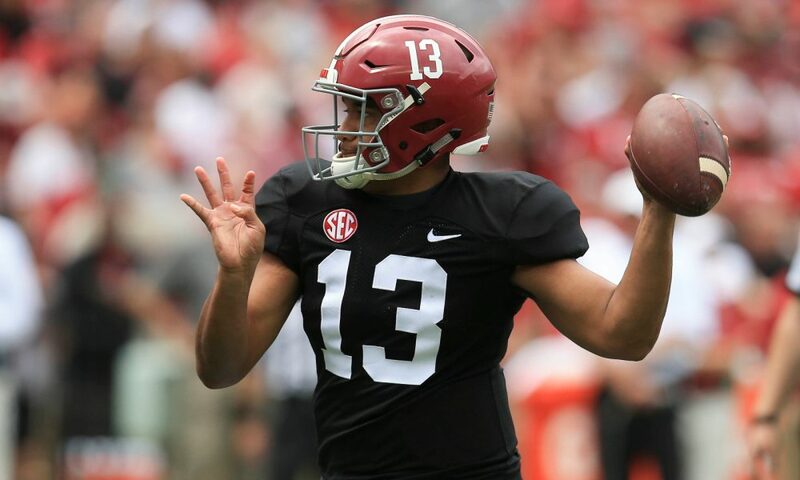 Thanks to the five-pound "Bama bump," he's listed at 183 on the depth chart. He's also not Alabama's fastest or strongest defensive back. He's tall enough at 6'0" but doesn't have the other measurables needed to get an invitation to the NFL combine. What he does have, though, is splendid technique and film-study habits. Those attributes have allowed him to hold his own against bigger, stronger and more physically gifted receivers commonplace in the SEC. Wallace has understood since arriving in Tuscaloosa that he is the exception on an Alabama roster loaded with 5-star talents. Maybe that nickname is appropriate after all. "One day I might work on speed, and the next day weight, but technique I do every day," Wallace says. "You have to going against our receivers here. Technique sets you apart and makes you that much more confident in what you're doing out there on that island." By technique, Wallace is referring to the specific way Saban trains cornerbacks. Rick Venturi, who coached 27 years in the NFL and worked with Saban in Cleveland in 1994, says no coach does that better. Under Saban, Venturi says there are strict rules every cornerback has to follow. Wallace has mastered them. 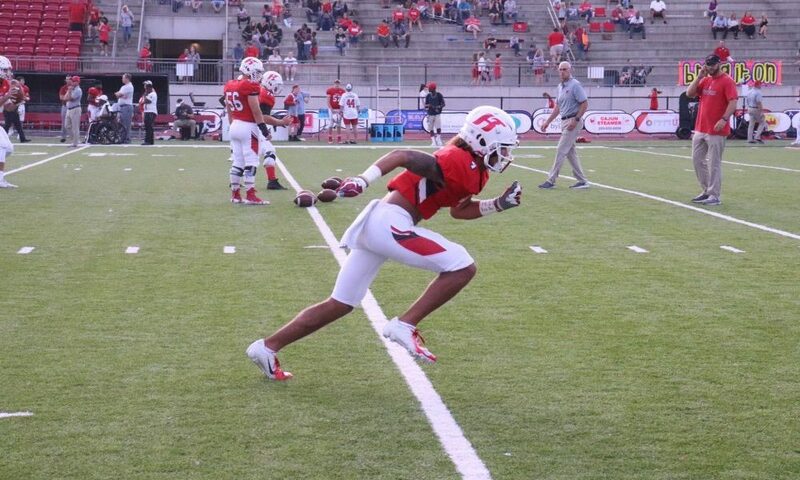 He and the other cornerbacks must keep their feet close together in their initial stance, which allows them to take shorter strides to match the receivers. Their hands must be raised and ready to punch and cut off receivers who want to go deep. They're taught to reach across receivers and touch their thigh pad, a subtle technique to slow them down and remain attached. And they are trained to pin receivers inside an imaginary "red line" drawn six yards from the sideline. That cuts down the space the receiver has to work with along the sideline and puts the cornerback in a better position to defend against the deep pass thrown down the sideline. Doug Belk, the secondary coach at West Virginia and a graduate assistant coach at Alabama from 2014-16, remembers that Wallace "can play man-to-man as good as anybody Bama has. Fundamentally, he was sharp. He wasn't going to hurt you by not knowing what to do." Wallace says his hours of film study allow him to anticipate pass routes. "Wherever receivers line up, I know the routes they will run from that position. I'm an OK athlete, but the film definitely helps me, especially going against great receivers in this conference." Before Wallace emerged, Alabama went into the 2017 season thinking Fitzpatrick may have to play cornerback. The Tide lost underclassman corner Marlon Humphrey in the 2017 draft and did not seem comfortable for most of preseason drills using sophomore Trevon Diggs or Wallace at left corner. But the week before the season opener, Fitzpatrick says Diggs picked up his game and was inserted as the starter. That allowed Fitzpatrick to move to the center of the field, where he plays safety in the base defense and slot corner in nickel (five defensive backs) and dime (six DBs) coverage. At that point, the issue seemed resolved, with Diggs at one corner, Anthony Averett at the other, and Ronnie Harrison and Fitzpatrick at safety in the base 3-4 alignment. Then it all unraveled in the first half against Florida State. Diggs, a terrific talent but still raw, busted three coverages. He wasn't ready. It looked like the constant drain of underclass cornerback talent to the NFL had finally caught up to Alabama. Many programs are caught without sufficient depth when they lose player after player at one position. "They have to start a player too young or an older player who has not panned out," Savage says. Diggs was too young. But Wallace, the senior walk-on, panned out and came to the rescue. He replaced Diggs in the second quarter, snatched his first career interception and broke up two passes in a 24-7 win. There was an exhale. With Wallace established at left corner, Fitzpatrick could stay in the middle of the field. Entering the College Football Playoff, Wallace is tied for the team lead with three interceptions and leads all Bama defensive backs with 12 pass breakups. "It worked out good for us," Fitzpatrick says. "It allowed us to keep signal-callers like me and Ronnie in the middle of the field." Playing Wallace was not a desperation move by Saban. Wallace earned it over three seasons. But his improvement was so gradual, so methodical, few saw him coming. Amari Cooper was one of those. Before a practice one afternoon in 2014, the All-American wide receiver walked up behind Belk and told him, "44 is nice, Coach. 44 can play." No. 44 was Wallace's number as a freshman. He has since changed to No. 39. Cooper saw himself getting better in practice whenever he was matched up against Wallace, who forced Cooper to be as technically efficient in his routes as Wallace was in his coverage. Wallace started getting more converts, which is unusual for walk-ons at a place like Alabama. Before his sophomore season, Wallace remembers former Alabama receiver ArDarius Stewart telling him, "There are a lot of schools where you could play." Despite his slight frame, Wallace has a physical style that helped him earn respect. He tackles with his shoulder pads, preferring not to dive at the ankles of the ball-carrier. Venturi says a staple of Saban's corners is toughness in bump-and-run coverage. "It's physical here," Wallace says. "You get that toughness built into you at practice. You take on linemen and talk mess to them." Belk said one of the reasons Wallace broke out and earned a scholarship in 2016 was because he had a stronger belief in himself than most walk-ons. Belk said Wallace was convinced he belonged. Wallace did not show up from Tucson, Arizona, as a non-scholarship player by accident. His late father, Walter, was born in Tuscaloosa and was a Crimson Tide fan. Levi Wallace adored his father and became an Alabama fan, too. At an early age, Levi declared he was going to play football at Alabama, no matter what. He enrolled in 2013. "His dad encouraged him to give it a go," says Justin Argraves, Wallace's coach at Tucson High School. On the morning of his first spring game in 2014, Wallace learned that his father had lost his battle with ALS. Argraves says the son is still inspired by his father and has done him proud. An SEC assistant coach who schemes offense said his team will look for mismatches and pick on that player. Alabama usually does not have any soft spots on its defense, but a walk-on cornerback would be a logical target. That, however, was not the case when his team played Alabama. "When I watched the film, I would not have known he was a walk-on corner," he says. "He looked like a typical 4-star, 5-star Alabama corner. He was an SEC corner." For the Crimson Tide, Wallace is much more than that. He's an unlikely and inspirational story and a key piece—perhaps the most valuable piece—of another dominant Alabama defense.